Many of the millions currently addicted to drugs and/or alcohol will unfortunately end up paying the ultimate price for their enslavement; death. 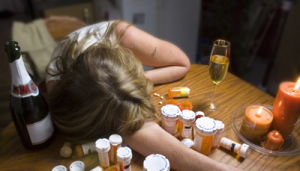 Thousands die every year in the United States from drug or alcohol overdose. Thousands more people die each year from drug and alcohol related physical illness such as sclerosis of the liver, heart failure, kidney failure, pneumonia and many more illnesses that stem directly from the person’s drug and/or alcohol use. Why does a person keep using even though they are beginning to suffer physical consequences associated with their using? The answer is basically addiction. By the very nature and definition of addiction, a person compulsively uses drugs and/or alcohol despite personal consequence to some greater or lesser degree, they use as a means of even coping with the very physical and emotional problems created by the using of the same substance. In other words, the drug or alcohol is deemed a solution to many or all problems and the more a person uses the more problems that then must be solved by using more. As is easy to recognize with anyone addicted, the addiction makes the person’s life spin in a never ending downward spiral, constantly getting deeper, worse off and more desperate for any solution that will somehow pick them up out of the maze they are trapped in. We can help with a clearly superior solution to the problems of addiction. With the most comprehensive treatment available today, our programs have the technical strength built into their delivery to effectively assist the person in making the desperate changes needed to re-assume a happy, healthy and productive life.